We develop and deliver innovative, easy to use, flexible and affordable business software solutions and support services since 1998. We provide you with suitable business solutions to meet your requirements and allow you to achieve business success. Pioneer application hosting provider in South Asia. We provide software as a service (SaaS) through our enterprise class cloud servers. 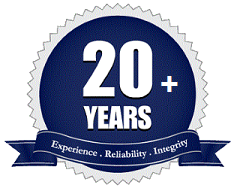 We are in this business since 1998 and know how it works, so we provide you with quality on time support. No matter where the future takes you, your business is in safe hands with us. SBS Computer Consultancy (Pvt) Ltd was founded in 1998 as a specialised software solution provider for small and medium sized enterprises. The component of our business involves innovative software development and support services. We approach information technology from an advanced business point of view, which ultimately counts in business for efficiency and profit. Copyright © SBS Computer Consultancy (Pvt) Ltd - All Rights Reserved.